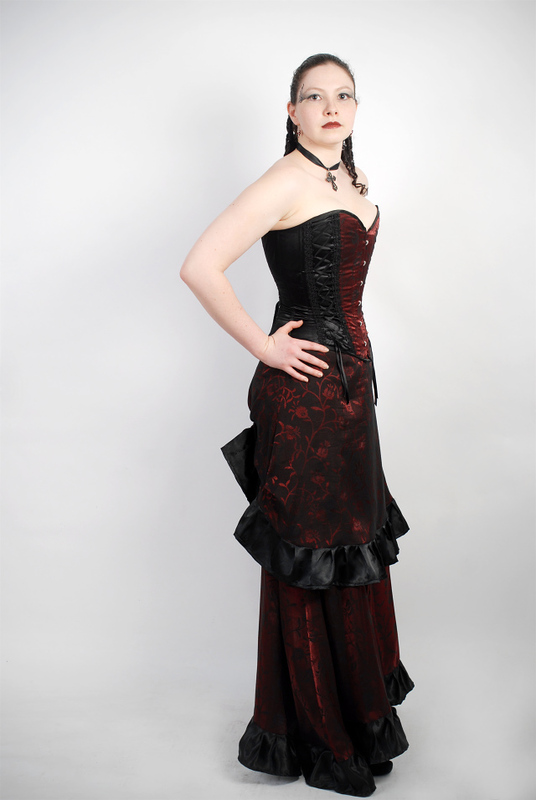 This elegant corset is made of black satin, with a front busk, and black satin lining. The front feature panel of red and black brocade is bordered by panels of ornamental black trim and satin ribbon lacing. 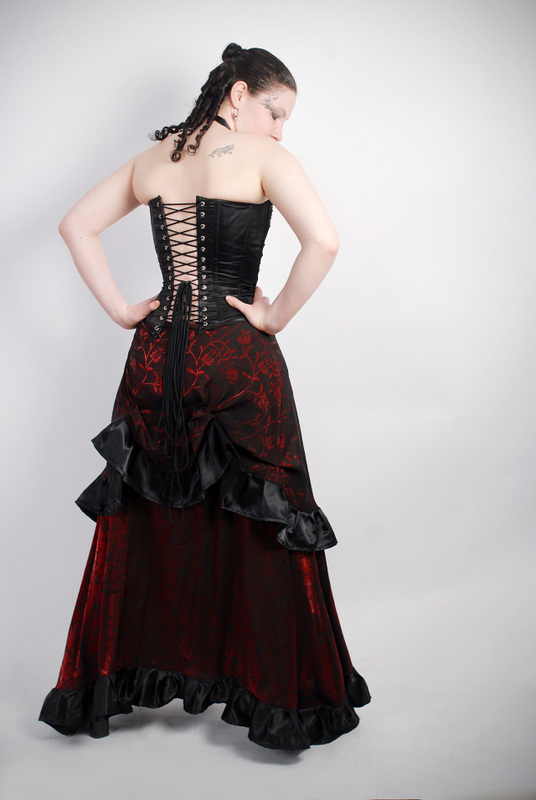 The double layered skirt is made from matching brocade, and edged in pleated black satin ruffles. The upper layer is gathered at the back to form a small bustle.